Summary: Here are top 10 best jazz Christmas songs that can make your Christmas season more happening. We will also show you how to download these Christmas songs. In the pasta few years the popularity of jazz Christmas songs has increased. Earlier it was really rare to listen to the jazzy Christmas songs during Yuletide. The trend of Christmas music has changed and now the Christmas season has become a fertile one for jazz Christmas songs. Here we brought the list of top 10 best jazz Christmas songs. We are sure that thesejazzy Christmas song will make your holiday season more happening. O Tannenbaum (O Christmas Tree) is an old German folk song. This song has been sung by many singers, and many more will follow the tradition to sing this song in the future. But the song Tannenbaum by Dave Koz 20th Anniversary Christmas has a strong taste of jazz music. You can experience a brilliant instrumental synergy of Koz, Benoit, Braun and White and Dave Koz in this song. Enjoy this jazzy Christmas song. The John Legend’s 2018’s Christmas Albums has some really amazing song. This is the only reason that this album has reached on the top of popularity. The songs of this album are so awesome that they will be played on Christmas in coming years as well. In its song ‘what Christmas means to me’, you can hear the great combination of the guitar with other musical instruments. You can listen to some great jazz music in this song. A few brilliant musicians and soulful voice of Les McCann has created a wonder in the form of Baby It’s Cold Outside. This jazzy Christmas song is nothing less than perfect. The white Christmas is the first song of Eric Clapton’s album Happy Xmas. This song has the spirit of the beginning of festival season and jazz music. This song sounds as sanitary as it can be. While listening to this one you can feel that this song is trying to be as bluesy while appealing to a younger pop audience. Feel this one of the top Christmas jazz songs. The new versionof Winter Wonderland feat. Jake Shimabukuro is like a treat to ears for Jazz music lovers. The album Season of Peace: The Christmas Collection is a must to play during Christmas celebration. Its song Winter Wonderland has the jazzy feel. This one has been voted as the best Christmas song of all time, and it deserves this. You can feel the happiness and spirit of Christmas while listening to this jazzy Christmas song. Just land your ears to it and lose yourself. Deck the Halls gives a strong opening to the David Ian’s album. The song is melodious and stands out from the rest. The jazzy Christmas song is worth listening in the Christmas season. Thisis among the most loved album of Michael Buble. The song It’s Beginning to Look ALot Like Christmas is a wonderful Christmas jazz song. Here you can listen to a true jazz Christmas song byBeegie Adair. It’s a modern jazz song and if you are a true jazz song lover then you must listen to this one. It has become a tradition to listen to this old carol during the Christmas season. To get the feel of Christmas, listen to this Christmasjazz song. Part 2: how to download These Jazz Christmas Songs from YouTube? Now, you have the Jazz Christmas songs list. You must go to YouTube to watch and listen to these songs but when you are driving, and want to listen to these songs, you must prefer MP3(audio) rather than videos. So, for that, you have to download these songs in MP3 format. Finding MP3 download site online is quite cumbersome task because no good sites offer free MP3 downloads, and those which offer are full of ads, and are spam. Some good sites do offer to download but they are paid. So, how to download Jazz Christmas songs’ MP3? Finding songs on YouTube is very easy but they are videos, and you want MP3 audios. In this case, you can make use of the DVDFab 11 module, DVDFab YouTube to MP3. DVDFab YouTube to MP3 is a module of DVDFab 11 which offers you to extract MP3 from YouTube videos, and download to your PC. It also downloads the Metadata of the song so that when you listen to your song in a player, you can see the Meta information as well such as singer name, composer name, etc. 1. Download DVDFab 11, and install on your computer. 2. Launch DVDFab 11, and click “Utilities”. 3. There you will find, “YouTube to MP3”. Click on that. 4. A new Window will be launched in which you will see “Paste URL” option. 5. The next step is to get a video link from YouTube. So, go to YouTube, and get the link of any Jazz Christmas song. 6. Now, get back to the new window of the tool, and click “Paste URL”. The download process will be started within a few moments. 7. As per your internet speed, the MP3 from the video will be extracted and downloaded. If you are on slow connection, it might take a bit of time to download. Once MP3 is downloaded, you can check that under “Finished” tab. Christmas is a festival that is celebrated worldwide, and listening to Jazz Christmas songs is fun, and soothing to ears. At the end of this article, you have 10 best Jazz Christmas songs, and the way to download them. Use the YouTube to MP3 software, and download your favourite songs. If you are also interested in 80s songs, please check top 80s Christmas songs. 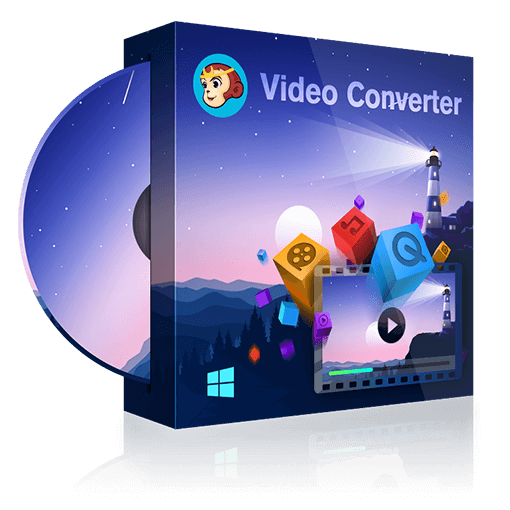 A great VOB to MP4 Converter can help you convert VOB files to high-quality MP4 files easily and quickly. Here is the list of top 4 best VOB to MP4 converters. There are many Apple video editing tools available but only a few are there which are simple enough to use yet offer advanced editing capabilities. Check the editing tools we list below. How to Download Free Videos from YouTube? There are many free videos on YouTube, but how to download these free YouTube videos? Here are methods for your reference.